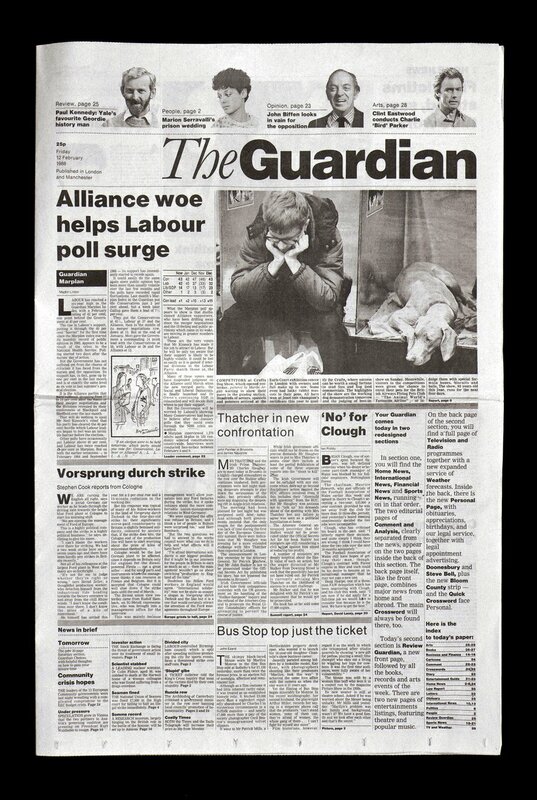 When the Independent launched its new tabloid format on 30 September 2003, it was a shock for the Guardian’s creative team, renowned for its strong design ethos and forward-thinking approach. Plans for its own reformat were already under way and this was not good news. ‘We’d always been the British paper that took design most seriously,’ says Mark Porter, the Guardian’s creative director. ‘We’ve always had a reputation for that and I suppose we always liked to think we were the most innovative British paper.’ But it wasn’t long before the Guardian had regained its laurels. Nb. The Guardian iPhone app quickly became the No. 1 selling in the paid news category in the UK & Eire, Canada and Australia and the No. 2 paid news app in the United States. Within two years, it was back on top with a new design and format, not to mention numerous awards and accolades, including a D&AD Black Pencil at the 2006 D&AD Awards and a Designer of the Year nomination from the Design Museum. Everything started in the summer of 2003 with the realisation that the traditional broadsheet newspaper was no longer a convenient format for modern life. The paper’s last major overhaul had been David Hillman’s seminal 1988 redesign, which, while brilliant, was no longer working in the 21st century.